You may know that a couple of weeks ago we announced a new sister project @MyBlogU that helps you create highly sharable group interviews. Ashley has been living in Switzerland since 2001 and he started a blog with the goal to share the things he learns during his time online (and from his 12 years as a web developer). Q1 I know you got into blogging after the accident… Are you still involved into your full-time job? Have you considered becoming a full-time blogger? I shattered my leg last year and had lots of time off work. Then I started madlemmings.com. That is when I started blogging. Since July last year that has been full time. I now run a biz with the blog. I have no other occupation. My Biz, my blog, my podcast etc. Q2 You did GREAT with your Pinterest group interview. How did you manage to get so awesome people on board? The Pinterest group post was amazing. I knew most of the people from my year+ on twitter, then came the topic. You have to chose a topic no one has done for such group posts. There are already dozens on blogging, social etc. but only one or two on Pinterest. Plus it was a passion of mine – visual. So I contacted all the experts, including new ones. And they all said yes, and most responded super fast. People love to be involved, trust me. They love being on display – don’t you? Just go with a good plan, be polite, personalize the invite, give them time but a deadline. If you want exposure super fast, and a mega traffic boost, come up with a niche topic and go nuts. I have only done two of these. As I don’t want to flood the market, and the boost to my audience is awesome. This was my other one. Oh, I forgot one thing, I made a summary infographic as pinterest is infographic crazy, and I got over 1000 shares, last I saw. I still do that now when I can, info graphic style images on pinterest blow your audience sky high. Q3 You are doing an awesome job with visuals on your blog! What’s your secret tool? Visuals are the new black – that was a post I wrote a while back. If you are not on visuals, get going. all Social channels and blog and of course video. So you must get into visuals. Twitter has them, pinterest of course, instagram, G+, so the question… how to do it without skills? – you have to use canva! And also great free images AND the big trick, branding. Every top blogger I interview (Rebekah Radice, John Paul Agiuar) all do it. Consistent, color, font, images. So I took their idea and ran with it. I always use more or less the same template in canva, same font, same photo filter. It helps to have an eye for it, as I have seen some Canva disasters, but still it makes life easy! I churn out images for ads, blog posts (I run multiple sites, niches etc) and now canva is my goto tool. Here are some videos. Q4 How do you promote your blog posts? Ok, I actually have a cheat sheet I send in my autoresponder (hint :>) but here is more or less what I do… For scheduling I use Buffer, and I tweet multiple times a day for 2-3 days after posting. Extra awesome tip – Twitter with images now stands out, ad images using canva twitter template to tweets. Ok, so you all know you have to add relevant hashtags too, right? So, your tweets are set, now I pin to multiple boards, I am in lots of group boards – learn more here. Pinterest is blowing my twitter audience out of the water, 7000 followers on twitter, 1300 on pinterest, get on pinterest. The traffic from there is absolutely crazy! And pinterest brings traffic for months/years after the pin, no other SM platform can do that. So, Pinterest, done. Now I also put on G+ communities sometimes, but I am very careful as the audience does not like spam. Some people are big on Facebook, but not me, so don’t do much there. LinkedIn neither. Up to you, and where you are biggest. I get most from search, about 1/5 of that from pinterest, then about 1/3 of pinterest is the twitter numbers. depends on the week and posts of course. After exhausting my social channels I leverage other networks – viral content buzz, social buzz club, some posts places, like Blog engage, and a few others. 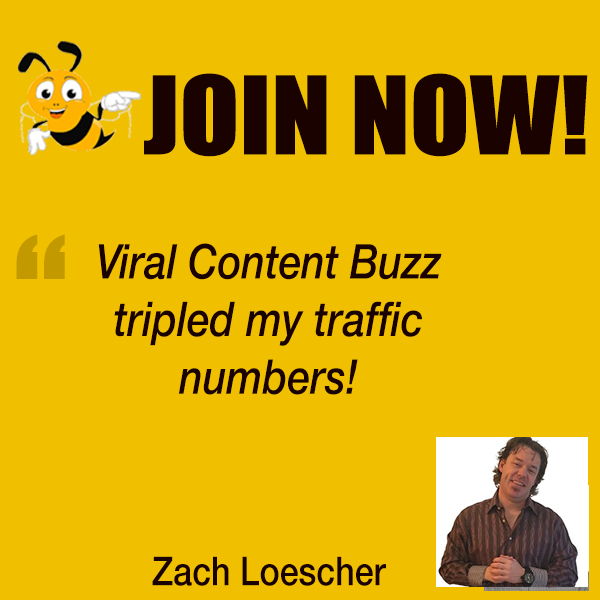 I love viral content buzz because it uses pinterest – not common at all. I also email a summary mail to my list on Wednesday mostly, and also retweet old posts from wordpress. It can backfire, but the plugin most use was updated bigtime recently and is now stable. Q5 What would be your piece of advice for a blogger who is struggling to see any noticeable results with the blog? Getting started blogging is tough, but what really helps is getting on influencers radars – also helps expand your following. As much as people hate to admit it, Google still brings lots of traffic and basic seo and seo research are also key. By finding the right niche within a niche you can really go high, I get most of my traffic from one such post. Other tip – network, peers and influencers. It is not what you know, it’s who you know and how much people like you :> I certainly get invited to some great things now. Like this event. And I did a web talk radio interview that was live today! Q6 You are using @ViralContentBuz… What’s your experience with it? 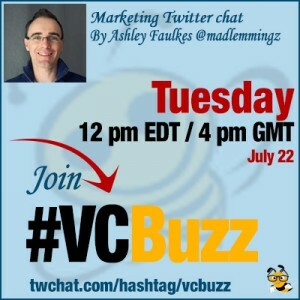 Big fan of viral content buzz, and use it a lot. also good calibre of people on there. I forgot to add earlier I use Triberr too, but VCB allows old and varied stuff to be posted, not just latest. Triberr is great for finding followers sharers and influencers in your niche esp when you start. VCB is great for extending reach. Even when I have no time to share much, I use VCB and Triberr.